1. Talk to your teen in advance. 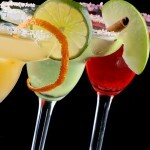 Make it clearly understood that a graduation party is going to be an alcohol-free party. As a host, you can be held legally accountable if teens leave your home and have an alcohol-related accident. Recruit other parents to help monitor the party. One or two parents will have trouble keeping track of 15 or 20 teenagers. 2. Set down rules. Determine how any infractions of the rules will be dealt with. Your main goal is to prevent driving under the influence, so you may want to make it a rule that any teen arriving with alcohol cannot be admitted to the gathering. 3. Be the alcohol police. Merely saying “no alcohol allowed” is seldom enough. Station yourself or another parent at the door to ensure the rule is being followed. Watch for backpacks, purses, or someone sneaking in through another entrance to your home or property. 4. Don’t hesitate to call other parents. If you believe a teen has been drinking or using drugs, those parents would prefer to get a call from you than to get one from a police officer arresting their teen for DUI. Thousands of parents host safe and fun graduation parties every year. However, the liability issue means that you must take personal responsibility. 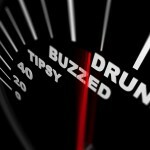 If despite your best efforts, your teen (or one of your teen’s guests) ends up charged with DUI, speak right away with an experienced California DUI defense attorney. 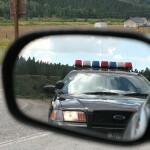 A good DUI defense lawyer can provide sound legal advice, and if necessary, aggressive defense against a DUI charge. 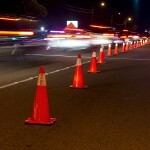 If you encounter any DUI-related trouble generated by your teen’s graduation party this year, get the help you need from an experienced DUI defense attorney as quickly as possible.